Have you recently been diagnosed with Type 1 diabetes? Then you may be interested in enrolling in the GleeT1D Study. 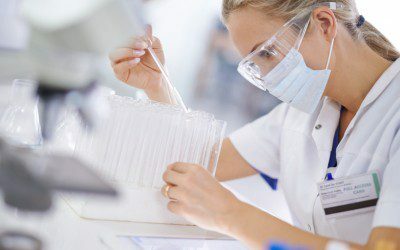 The investigators are evaluating whether a medicine known as imatinib (brand name Gleevec) can help slow the destruction of the insulin-producing beta cells in people newly diagnosed with Type 1 diabetes. The goal of the study is to preserve these cells so that the body can continue to produce some of its own insulin, helping to improve overall blood sugar control and make daily management of Type 1 diabetes easier. People who are 18–45 years old, have been diagnosed with Type 1 diabetes within the last three months, and test positive for at least one diabetes-related autoantibody (as determined by a blood test) are eligible to enroll. Participation in the study will last up to two years and involves taking a pill — either Gleevec or an inactive placebo treatment — once a day for six months. A computer will randomly select who receives which treatment, with each person having a two out of three chance of receiving Gleevec and a one out of three chance of receiving the placebo. Participants will also be required to come to one of the study centers for follow-up visits and additional lab tests, approximately once a month for the first year and once every six months for the second year. All participants will be closely monitored by a diabetes team and given guidance to keep blood sugar levels as close to normal as possible. They will also be periodically given tests to determine how much insulin they are producing. Currently, eight medical centers are participating in the study, in Atlanta, Boston, Denver, Indianapolis, Iowa City, Philadelphia, San Francisco, and Melbourne (Australia). Eligible participants will receive compensation for their time, effort, travel, and related expenses. To determine if you are eligible to participate in the GleeT1D Study, and for more information about the research, visit the official study website. And for questions about the trial, contact the researchers at [email protected] or (844) 813-8273.